Addendum from yesterday: I forgot to mention, upon arriving at the national hospital yesterday, a gracious local recognized Pat Scannon and immediately wanted to take us to where he knew of an airplane engine. Thank you sir! Today started with our first mission brief and some wonderful local coffee. The day started off windy, but it still was about the most beautiful water I've seen. The turquoises and the rock islands are indescribable. We began with a "situational awareness" water visit to a few spots we thought were worthy of reviewed diligence. Ground truth wins! Looking at the lay of the water and hills, we are revising a few target plans. On to the checkout dive - a very nice boat wreck presented a great opportunity for us to practice getting our feet wet and our buoyancies established. I think each of us will be assimilating a take-home from this practice dive. Next, we spent just about the most beautiful surface interval one could ask for. The professional tourism magazines have NOTHING on the beauty of some of the local rock islands and secluded harbors. And then, we made our first real mission dive. We wanted to work up a focus that had been identified using technology from Scripps Institute of Oceanography (SIO). 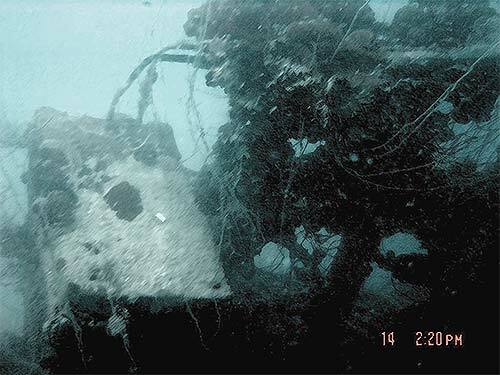 It was an anomaly on the ocean floor - in fact, it was a likely unrealized boat wreck! Initial observations suggested a Japanese boat of some type, which likely was on fire, as charred portions were found. It will take more characterization to further evaluate the origins, but success! On the first day. Thank you SIO! Today we started to settle into a routine. Another effective mission briefing and off to the water. 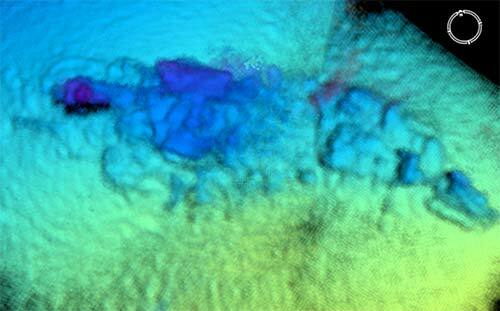 We began by searching a shallow area, to better characterize previously discovered debris. It was shallow water and all snorkeling. Next, we moved to a deep dive site, to re-characterize another known item. Lastly, we moved to a shallower dive, again, to re-characterize known objects. This last site was on top of a rather large coral head. We took more pictures of the known object and perhaps found additional debris. All in all, it was a productive day. Today was a very exciting day: we went to meet the President and other dignitaries. Thanks to their gracious benevolence and antecedent leg work, we have official permission and permits to dive in waters usually denied to people. Moreover, it was an amazing opportunity to see the countryside, both coasts, and the capitol. Lastly, it allowed for a small amount of R&R.